Temperature : Max. 39.5° C and Min. 24° C in summer. Max. 24° C and Min. 8° C in winter. Planned and built by Rani Ahlyabai, the brave Holkar queen, Indore lies to the extreme west of the state on the banks of the rivers Saraswati and Khan, This bustling and vibrant city, 186 km from Bhopal, derives its name from the 18th century Indreshwar temple, and has some interesting monuments associated with the medieval Holkar dynasty. Air: Jet Airlines, Indian Airlines and Sahara Airlines connect Indore directly with Bhopal, Delhi, Gwalior, and Mumbai. Rail: Indore is connected with all the major places in India. Road: Good motorable roads to Agra, Bhopal 187 km, Jabalpur, Khajuraho, Gwalior 486 km Ujjain and Mandu 105 km etc connect Indore. 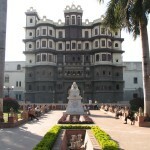 Lal Bag Palace: Lal Bag Palace is one of the grandest monuments the Holkar dynasty left Indore. A reflection of their taste, grandeur and lifestyle, its construction began in 1886 under Tukoji Rao Holkar II, and was carried out in three phases. The final phase was completed in 1921 under Tukoji Rao Holkar III. Many royal receptions were held here. It has a total area of 28 hectares, and at one time it had the reputation of having one of the best rose gardens in the country. Bada Ganpati Mandir: Better known for its size than antiquity, this temple houses perhaps the largest Ganesh idol in the world measuring 25 feet from crown to foot. Created as a result of the dream of an Avantika (Ujjain) resident, Shri Dadhich, it was built in 1875. Kanch Mandir: This Jain temple is an architectural marvel in glass, the walls, ceilings, floors, pillars and doorknobs are entirely inlaid with glass, and even paintings are done in glass. Atop is a special glass chamber that multiplies the three statues of Lord Mahavira installed there into an indefinite number (said to be visible upto 21 times, corresponding to the 21 Trithankaras). 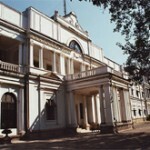 Town Hall: Made in 1904 and originally named King /Edwards Hall, it was renamed Mahatma Gandhi Hall in 1948. Its architectural style is Indo-Gothic; Made in Seoni stone, its domes and staples are a landmark of an Indore today. It has a four-faced clock tower in front, because of which it is locally known as Ghanta Ghar. 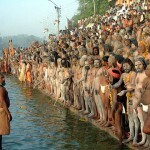 It is frequently the venue for the various book and painting exhibitions, fairs and festivals held throught the year. The building also has a library, a children’s park and a temple. Central Museum: The Indore Museum houses the finest collection of Parmar sculptures from Hinglajgarh. The Parmar style originated here, and is characterized by proportioned figures, carefully and ornately depicted in stone, The museum is also known for its collection of coins, arms and armour. Museum opens everyday from 10 to 5 pm. Except on Mondays and gazettes holidays. Gita Bhavan: Adorned with many statues of gods of various religions, its construction is inspired by the religious motto “many names to a God is after all of one God”. Chhatris: Chhatris are the tombs or cenotaphs; erected in memory of dead Holkar rulers and their family members The Chhatris picturesquely poised on the Khan river banks near Rajawada are incomparable in terms of Maratha architecture and sculpture of their period. At Chhatri Bag isthe main collection of tombs housed in two compounds. Close by is the beautiful Boulia Sarkar’s chhatris constructed in 1858 AD in memory of Sardar Chimnaji Appa Sahib Bolia. Annapurna Mandir: The Meenakshi temple of Madurai inspired this temple. Four life-sized elephants hold an ornately decorated gate in plaster. 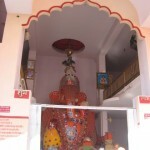 Inside the temple of Annapurna Devi are also temples of Shiva, Kal Bhairava, Hanuman and a Pravachan Hall. The outer wall of the main temple isdecorated with colourful motifs from mythological stories. 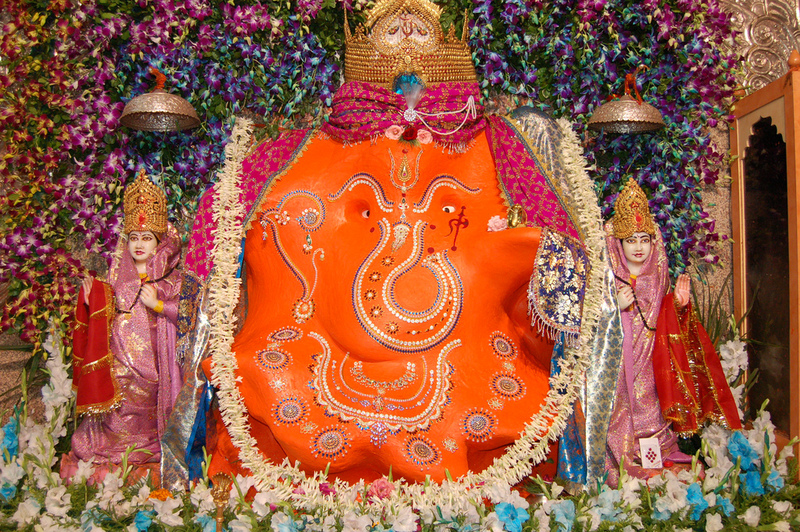 Khajrana: The citizens of Indore have great faith in this Ganesh temple, built during the reign of Ahilyabai Holkar. It is believed that praying here fulfills all wishes. Nearby is the Dargah of Nahar Sayed. This is an important pilgrimage place for Maita Muslims. Kasturbagram: 8 km from Indore, the Kasturba Gandhi National Memorial Trust was founded by Mahatma Gandhi. Its headquarter were shifted from Wardha to Indore in 1915. The main objective of this trust is showing ways of improvement in the quality of village life and the welfare of rural women and children. Some of its many commendable activities are: agricultural production, research, training, experiments in fruit orchards, social forestry, new renewable sources of energy, gobar gas, better water management, rural institute for girls, village sanitation programmes etc. Bijasen Tekri: A 2 minutes drive from the airport leads you to a hillock on which was perched a guesthouse of the Holkars, now converted into Border Security Arms Museum. As well as a small temple of Bijasen Mata, built in 1920, which has a magnificent view of the sunset. A mela (fair) is held during the Navratri. A good picnic spot, with a breathtaking view of Indore city by night. Gomatagiri: The Jain Samaj has constructed a 21 feet statue of Lord Gomateshwar, a replica of the Bahubali statue of Shravanbelagola. 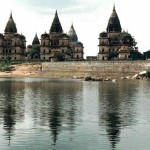 Also built here are 24 marble temples with shilars for each tirthankar. 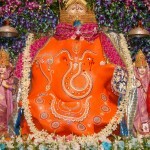 Bada Ganapati: The idol has a most interesting configuration of ingredients; bricks, limestone, masala made of gud(jaggery), methi dana, soil collected from the seven mokshapuri: Ayodhya, Mathura, Maya, Kashi, Kanchi, Avanatike and Dwarka; mud from the stables of elephant, cow, horse; the powder of ‘Ponch Ratna’ heera, panna, moti, manek and pukhraj(diamond), pearls, emerald, rubies and topaj and holy water s from places of pilgrimage. 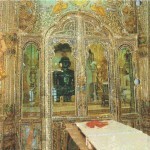 The metallic frame is made of Panchdhantu or five metals i.e. gold, silver, copper, iron and brass. Rajawada: Synonymous with the heart of Indore city, it stands today as a mute witness to the bygone splendour of the Holkar rulers. This 200-year-old seven-storey historic palace of the Holkars is built in a mixture of Muslim, Maratha and French styles. The lower three floors are made of stone and the upper floors are made of wood, which made it very vulnerable to destruction by fire. Rajwada was burnt three times in its history; the last fire in 1984 took the greatest toll. Today only the front facade remains. This entry was posted in Indore, Madhya Pradesh and tagged about indore, Annapurna Mandir, Bada Ganpati Mandir, Bijasen Tekri, Central Museum, Chhatris, Gita Bhavan, Gomatagiri, indore photo, indore state, indore website, Kanch Mandir, Kasturba Gandhi National Memorial Trust, Kasturbagram, Khajrana, Lal Bag Palace, Rajawada, Town Hall. Bookmark the permalink.